Mr. Glass, Kevin, and David are all together... and distinctly unhappy about that. That’s damn good. 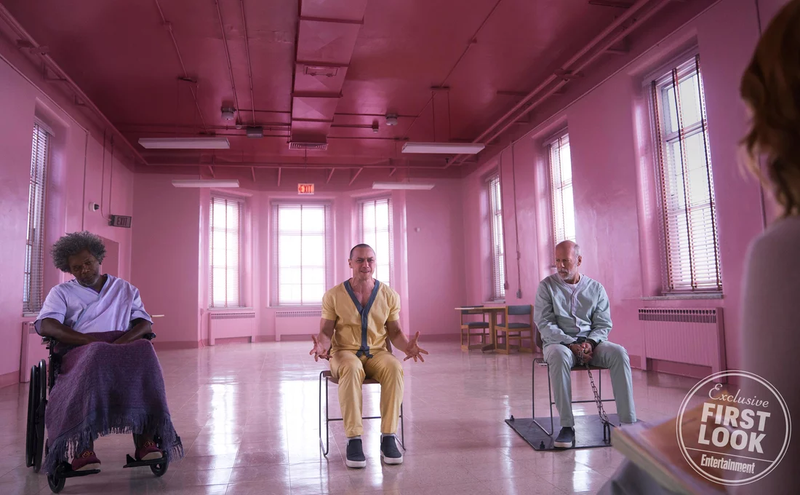 Glass is set to hit theaters in 2019.